Home » What We Do » Give Life To THEIR Story! Stories of REAL Life Change in our Young People! Gifty is a senior in high school, YFC Core student, president of her school's Christian Club! While living in India when she was nine years old, Gifty received an Operation Christmas Child Shoebox. It touched her so much when she became the leader of her school's Christian club and YFC Core kid, she decided to bring the project to her club and get the school involved in packing gifts for children in developing countries all over the world! Read her full interview HERE! A Campus Life student shares of her experience in Campus Life. "Campus life has made more of an impact in my life than I ever thought it could. It’s my social safe zone. When I first came to campus life, I was so generally anxious and with socialization and depressed beyond anything. I was hanging out with the wrong people and making mistakes. Campus life taught me that some people genuinely care and are good, how to make friends, to be myself, and that happiness is achievable- even though you can’t be happy all of the time. I’ve met a couple of the greatest people I feel I’ll ever meet in my life, and they’ve showed me wonderful things. Campus life showed me that life can be beautiful and worth all of the highs and lows. I feel genuinely cared about and wanted when I go to campus life, it gave me confidence, hope, and security. It’s even helped me overcome some fears. I’ve had such amazing talks, life advice, and great times with the leader, Eli. Eli’s probably one of the best people I’ll ever meet. He, and campus life, truly changed my life for the better, and I’m forever grateful that I stayed with campus life. He’s always there for me when I need him and I know I can talk to him about anything, and he truly knows how to make everyone feel involved or included. 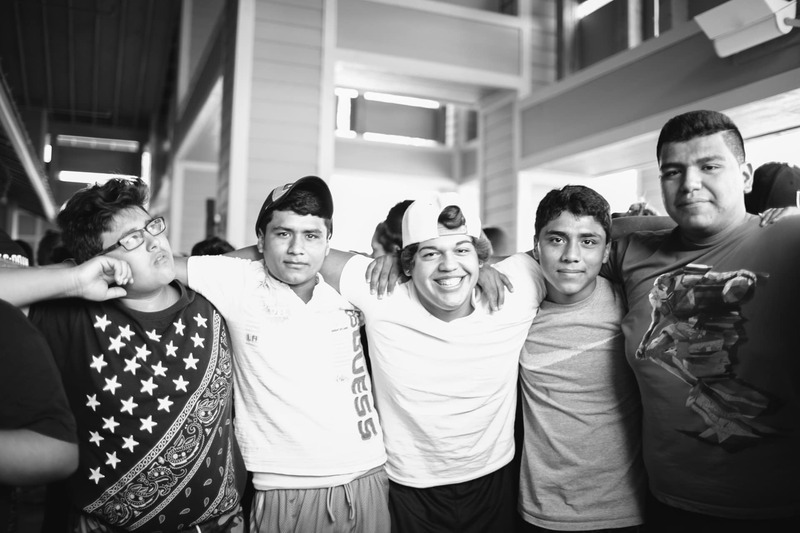 Attending campus life is probably one of the best decisions I’ve ever made." A Campus Life Student Leader shares his thoughts after making the step to become a leader in the club. "My whole life is changing from becoming a student leader. I didn’t realize how much the students look up to me. I know I have change the way I am living. I want to start living a Christ like life so that I can be that role model to the students in middle school. I also want to continue to be a leader and one-day work for YFC!" Anna came to a YFC Core club meeting at her high school for the first time this year because she needed prayer for medial concerns. The leaders prayed for her that day and she continued to come to the club after that. "I came to the club for the first time last year, because my best friend was giving her testimony. I didn't even know what that was. But I just kept coming after that, and I was put into a small group. I saw people talking about their struggles and I saw the change in them over the year...Today's sermon was eye-opening." Anna gave her life to Jesus at club meeting in October.